Archer just finished its seventh season on FX, ending its Los Angeles sojourn with a definitive bang. (You can read our review of the cliffhanger-heavy finale right here.) And while the show’s fate is currently up in the air—with ratings dropping every season for the last few years, and the seventh the lowest-rated the show’s ever had—producers Adam Reed and Matt Thompson are still hatching plans for the future. Hamm previously appeared on the show, playing a deranged sea base captain in the fourth-season finale. 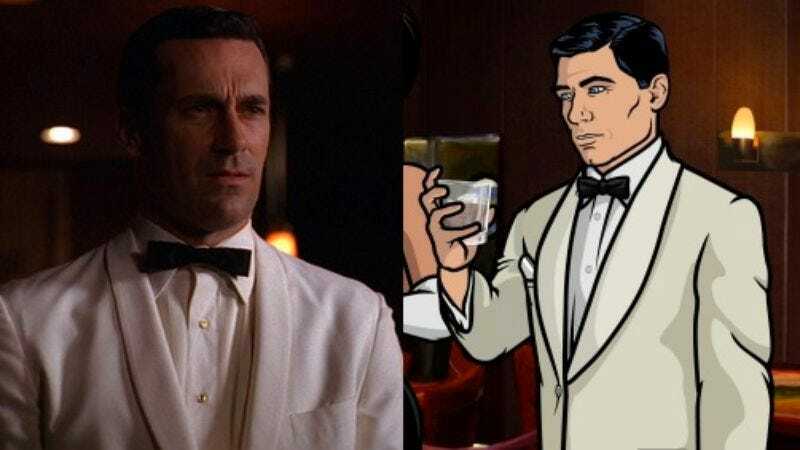 Physically, he’d be a dead ringer for the world’s most dangerous former secret agent, to the extent that there’s a Tumblr, “Sterling Archer Draper Pryce,” that mashes up Mad Men with quotes from the show.